A true artist cannot be confined within a canvas, a wall or any other medium. Talent has many mediums to show its worth and gain praises. A telephone booth is probably the oldest public telecommunication tool. Three dimensionally rectangular and vertical public phone booths were very common once. With changes in technology, everything we use evolved into a modern shape. Computers transformed into laptops and smart phones are considered the latest in technology. 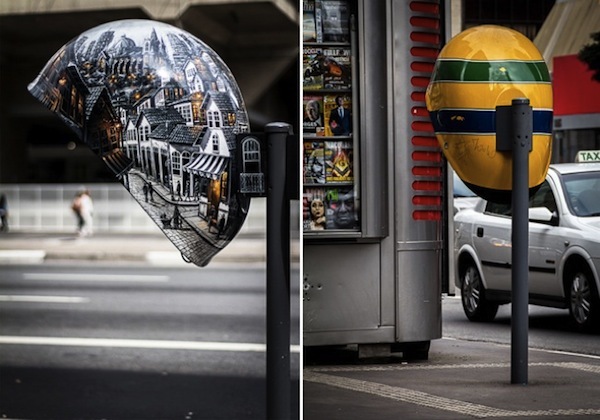 Phone booths have also evolved with time, and domed, helmet shaped booths are quiet famous these days. The purpose of a phone booth is for the general public to conveniently make calls, period. 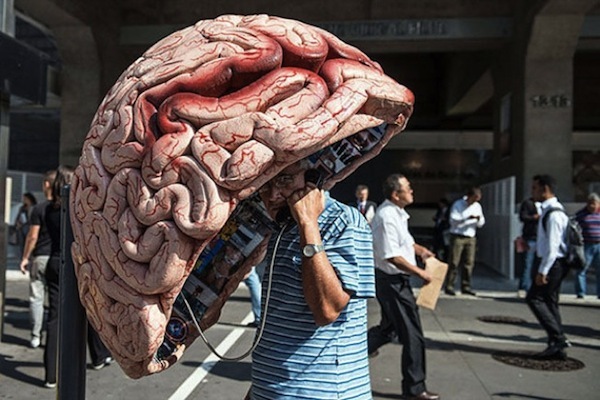 However, if the phone booth is designed creatively enough for the caller to approach and use it; even if making a call is not essential, is a creative success. One such success story happened in Brazil. 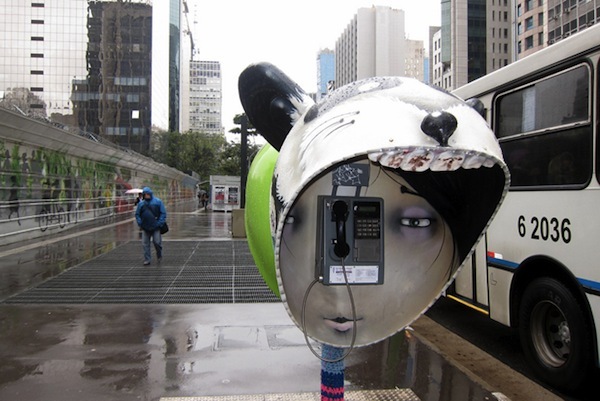 Vivo, a Brazilian telephone operator, have many public phone booths installed throughout Sao-Paulo. 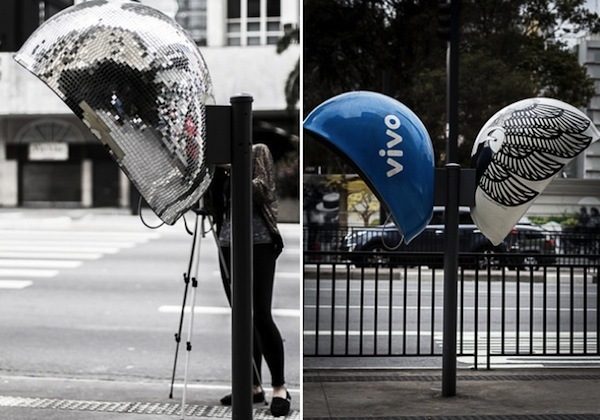 Vivo decided to make the public calling experience more fun by engaging 100 different artists to embellish over a 100 phone booths. The brilliance in the project is the inclusion of a large number of artists; as it gave every booth a different look, style and attitude, according to its corresponding artist. 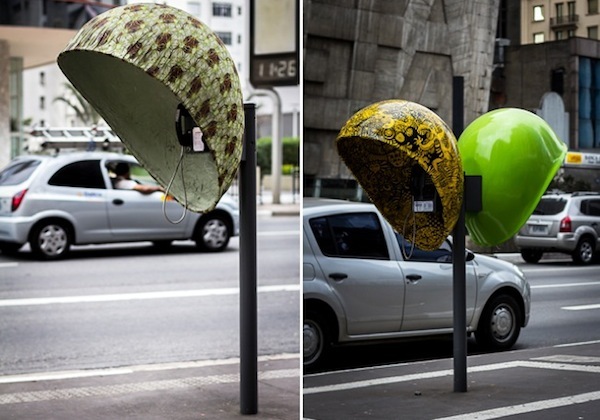 I can safely say that the new phone booths of Sao-Paulo are the most creative ever to be seen. Every artist left his/her touch of creative magic in the booths. For instance, one booth is designed as a human brain. Since the shape of the booth is already like a helmet, a brain imprint is an excellent cliché. Another artist used the medium to present images of buildings and houses of yester years. One artist actually made a booth look like half of a gigantic crystal disco light. Art can be appreciated by everyone, even in an abstract form. 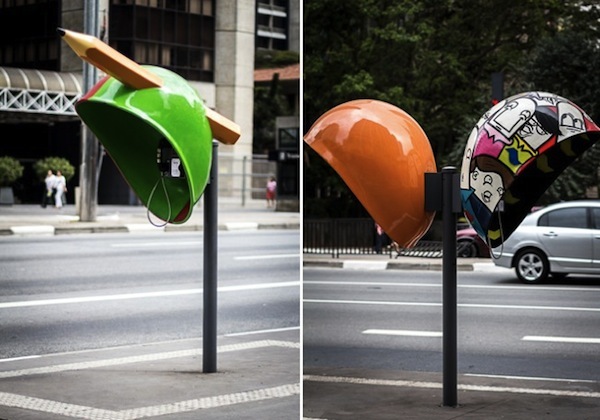 The phone booths of Sao-Paulo are a true testament that creativity can put a smile on anyone’s face.